FullHD video - Giant. 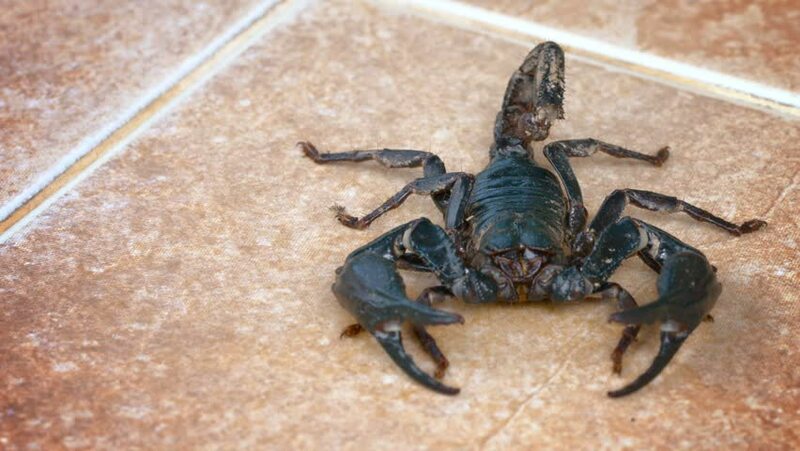 black and brown forest scorpion. with his enormous pincers and scary stinger. crawling across a red. ceramic tile floor. hd00:15Male stag beetle. In the frame there is another bug.